U.S. Tennis Court Construction Co. was established in 1981 by Tim Laniosz, and incorporated in 1986. Tim’s son, Mike Laniosz joined the company in 2001. Currently Tim and Mike manage the company together in Lockport, IL. They can typically be found on site giving each client their personal attention. Tim and Mike take great pride in their work and their company’s reputation. They can be seen working side by side with their employees making sure that only the highest quality of work is being performed. 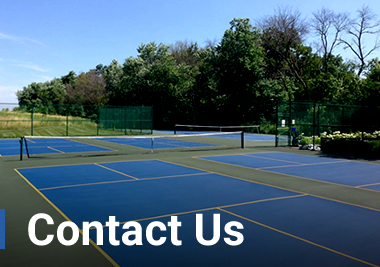 U.S. Tennis Court Construction Co. specializes in the construction, resurfacing, repair, and color coating of tennis courts, pickleball courts, basketball courts, and similar hard surface or cushioned recreational surfaces. 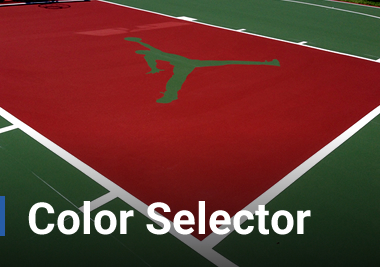 We use only top of the line 100% acrylic based products designed to provide a durable recreational surface with the most vibrant, non-fading colors in the industry. These systems are formulated to provide a long lasting and attractive recreational surface. Top coating can be textured to meet your desired surface finish. 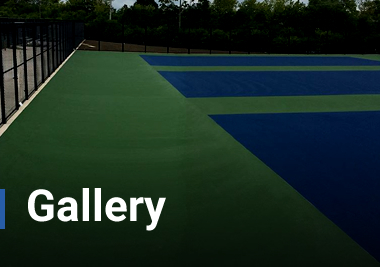 Acrylic based recreational surfaces can be used on many applications from backyard courts to the highest level of competitive tennis surfaces. With 30+ years servicing the Midwest, U.S. Tennis Court Construction Co. has felt the effects of short seasons and unpredictable weather. We are constantly researching and applying new technology and techniques to complete projects as efficiently as possible without sacrificing quality. On average, we service over 100 clients making up over 300 courts per summer season. U.S. Tennis Court Construction Co. is commonly involved in construction, consulting, and design. Our primary specialty is the acrylic coating applications. We apply all the brand name hard court athletic surfacing materials as well as our proprietary Elite Sport Coating System. U.S. Tennis Court Construction Co. has an ever growing and advancing fleet of equipment specifically designed for all weather surface construction and improvements. We provide services to court owners no matter the size of the project. Project sizes range from maintenance on a local backyard court to construction of a University tennis facility.